Demand for 3D printing has exploded in recent years with hundreds of new 3D printer producers being developed to help meet this huge growth in demand. So, who are the new trailblazers in the industry? We take a look at the top five manufacturers of 3D printers, who are set to shape the industry with new products and innovations. Hewlett-Packard (HP) may not have started as a 3D printing company but the company has come a long way, from developing the first commercially available LED light to releasing the first ever laser printer. As for the world of 3D printing, they sure have managed to make an impact, creating new processes and technology that allow for fast and efficient production. HP’s current mission is to transform 3D printing to a production technology, and it looks like their ongoing collaboration with Siemens is going to help them with that. The collaboration is making good use of HP’s Multi Jet Fusion 3D printing technology, in combination with Siemens’ market-leading product design software to enable companies to print 3D industrial grade parts in colour. Since it was first established in 1989, Stratasys continues to be an innovative force in professional-grade 3D printing technology and additive manufacturing. Their 3D printing technology has served a wide range of applications in several markets including healthcare, education, automotive, and aerospace. While it hasn’t sustained high growth rates compared with the past, the company still tops the list in annual equipment sales revenue, according to a report by Context. So, what are they working on now? In the past year, they launched the F123 Series, a compact, professional-grade 3D printing system aimed for design or engineering office environments, classrooms, and labs. Thought of by many to be the leader of metal 3D printing technology, EOS has long been considered an expert in metal-based additive manufacturing. Its current focus is on improving the overall workflow of its systems while continuing to develop new products. It recently unveiled its new EOS P 810 polymer 3D printing platform at this year’s RAPID + TCT event in Texas, specifically designed to process HT-23, the first carbon fibre-reinforced material to be processed on EOS systems. While developed with the aerospace industry in mind, the platform could be used in other markets as well. General Electric (GE) launched GE Additive back in 2016, although it had been advocating AM technology for years with its Aviation division, using it for various engine component designs. Soon after its launch, the company took control of two large industry players and has been developing and acquiring 3D printer manufacturers ever since. It’s no secret that GE Additive is an ambitious company, likely due to the fact that as a user of additive technologies itself. They understand the value which these technologies provide to modern design and manufacturing challenges. Going all in on 3D printing technology appears to have paid off. It announced last year that it was planning to build the largest metal 3D printer in the world after unveiling a beta version at a trade fair in November. The machine, dubbed Atlas, will be able to 3D print aviation parts, but also be applicable for manufacturers in industries such as oil and gas, power, and automotive. Founded in 1986, 3D Systems has spent over 30 years in the industry and continues to shape the future of 3D solutions. It was co-founded by Charles (“Chuck”) Hull, who invented stereolithography that same year and is often referred to as the father of 3D printing. Like Stratasys, the company has failed to generate impressive growth rates in recent years, yet continues to bring in substantial annual sales revenue. 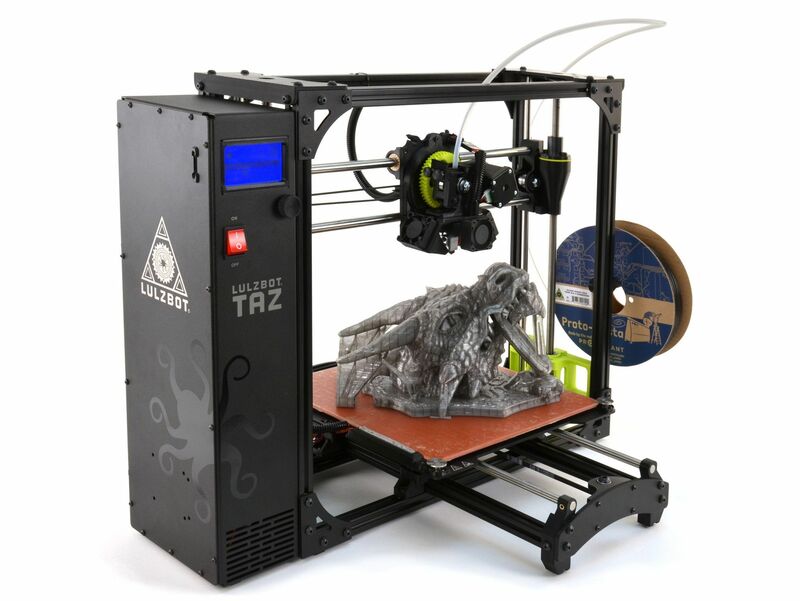 They are still considered a market leader in industrial-grade additive manufacturing systems. The company’s 3D printers lend themselves to a variety of applications, but dental 3D printing is one of the applications the company is most dedicated to. This year, the company introduced two new 3D printers, one for dental applications and the other an entry-level metal 3D printer. So there you have it. There are a lot of exciting innovations happening within the 3D printing industry. Who knows what the future will have in store when we write this article in 5 or 10 years time?